Paytm offers various free recharge promo code offers and free paytm cashback offers on various products. Now Paytm has announced a new Falt 51% Paytm cashback offer on Laopala Dinner set. Laopala dinner set is very popular among the people for its quality, appearance and durability. If you are looking for a nice dinner set, it is time to visit Paytm and order this product with flat 51% Paytm cashback offer. 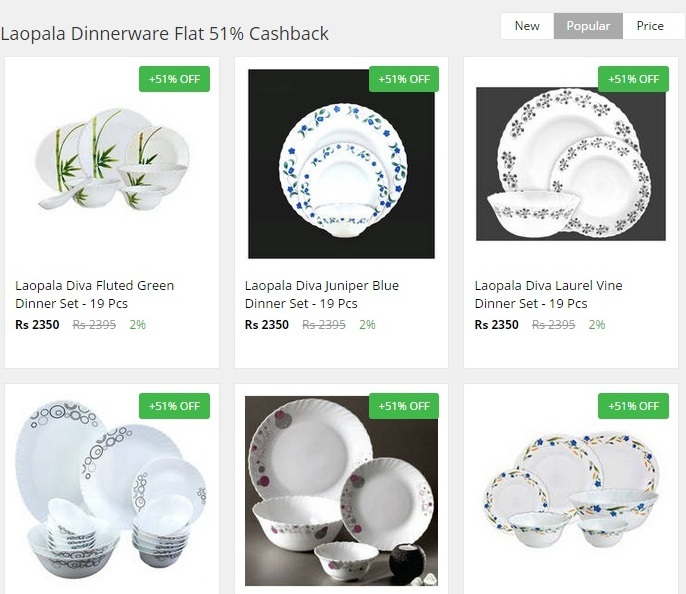 How to avail Paytm 51% cashback offer on Laopala Dinner Set? 2. Select the desired Laopala Dinner set.